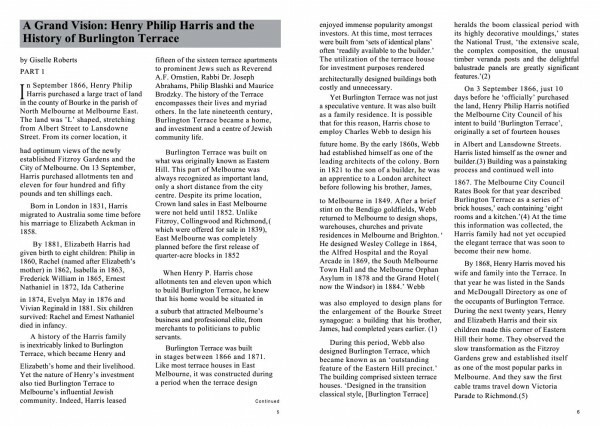 Article In EMHS newsletter June 2004. 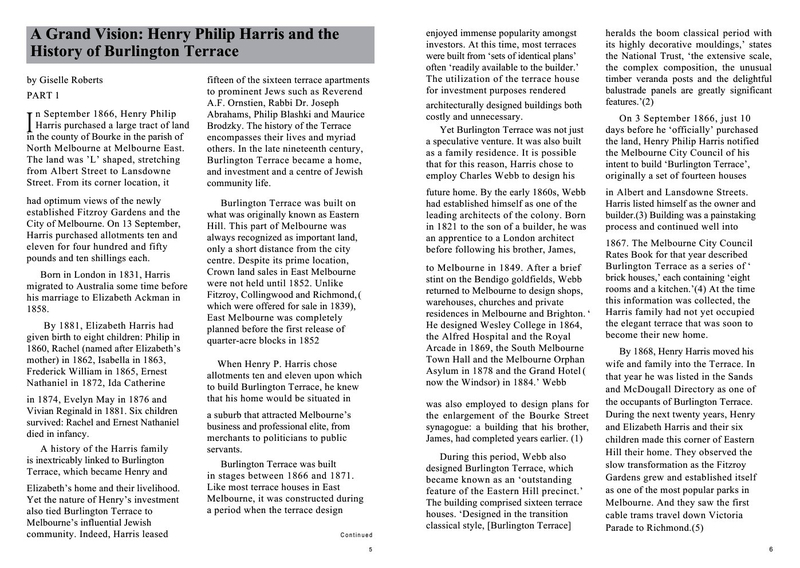 Tells of Henry Harris building Burlington Terrace. Some biographical details.